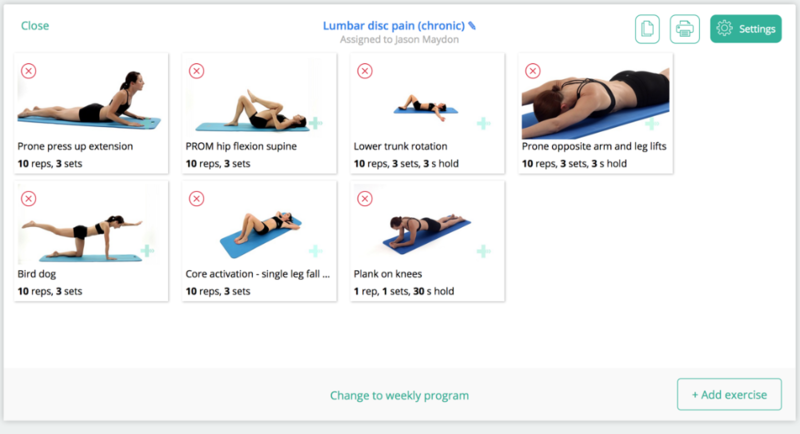 Physitrack lets you create clear, printable PDF versions of exercise programs, with your practice logo shown at the top. This is still an unassigned program, and does therefor not contain an access code. 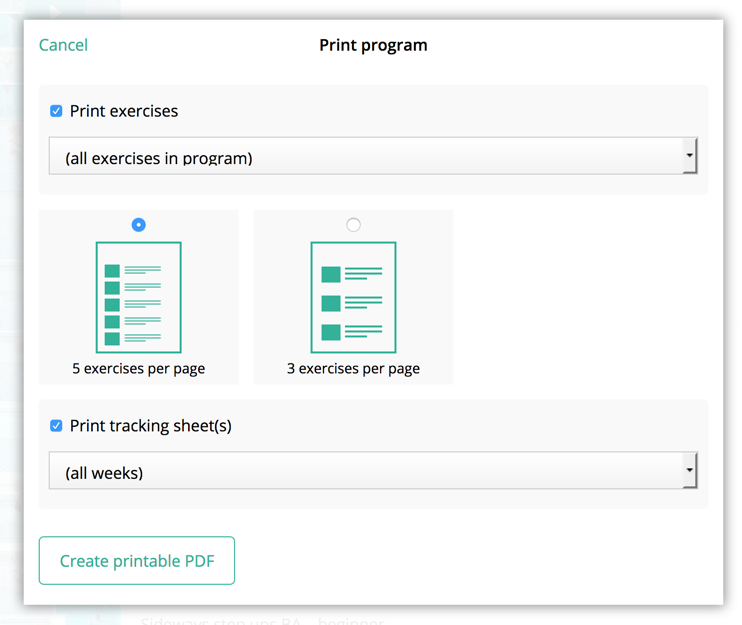 Click on the exercise program that you want to print. A new browser window will open with the PDF version of the program. You can then either print this PDF, save it to your computer or save it to your client's file. Once you've assigned a program, go to the Clients page and click on the client to view and edit the program in the program designer. You can also create print versions of a program from the program designer. Simply click the Print icon in the top right to show a printable PDF version of this program. Both weekly and daily programs can be turned into printable PDF's. 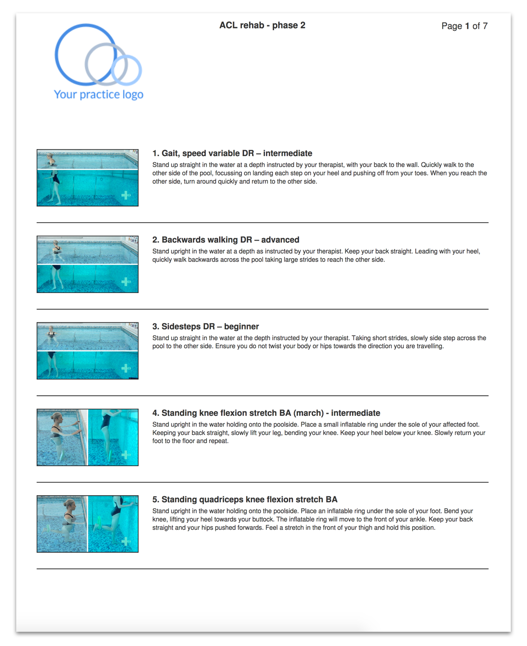 Tip: you can add your practice logo to all printouts from the My account > My practice page.